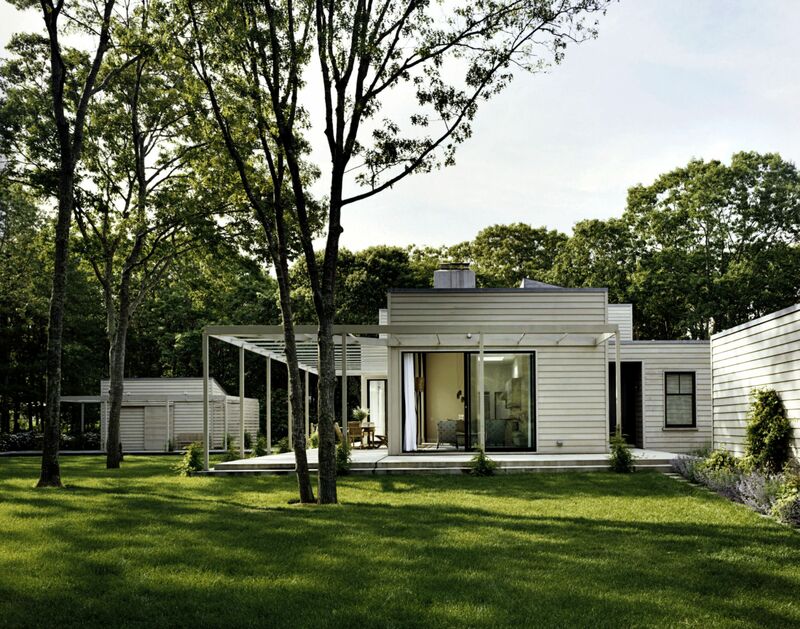 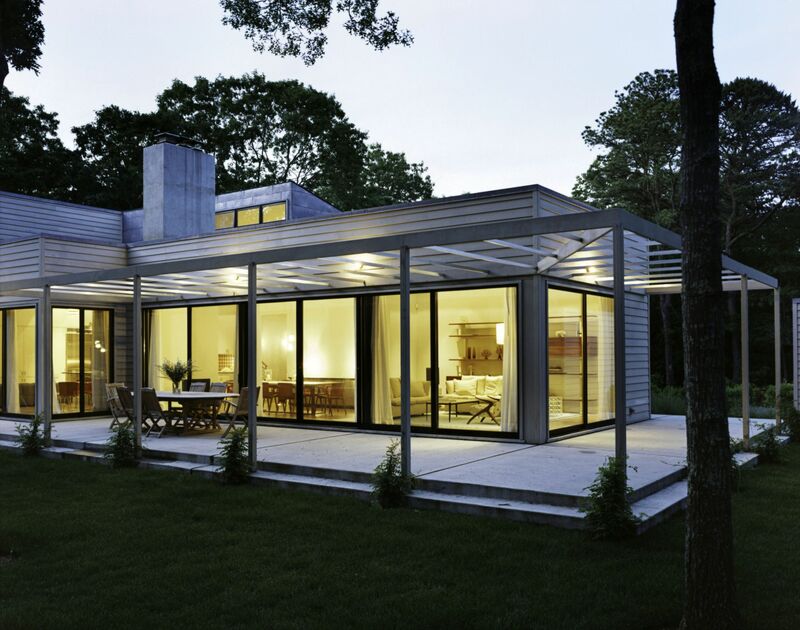 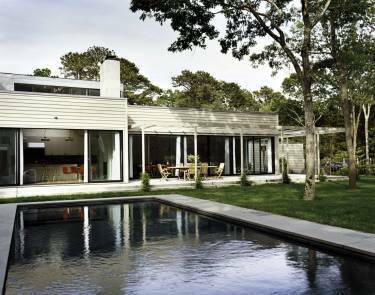 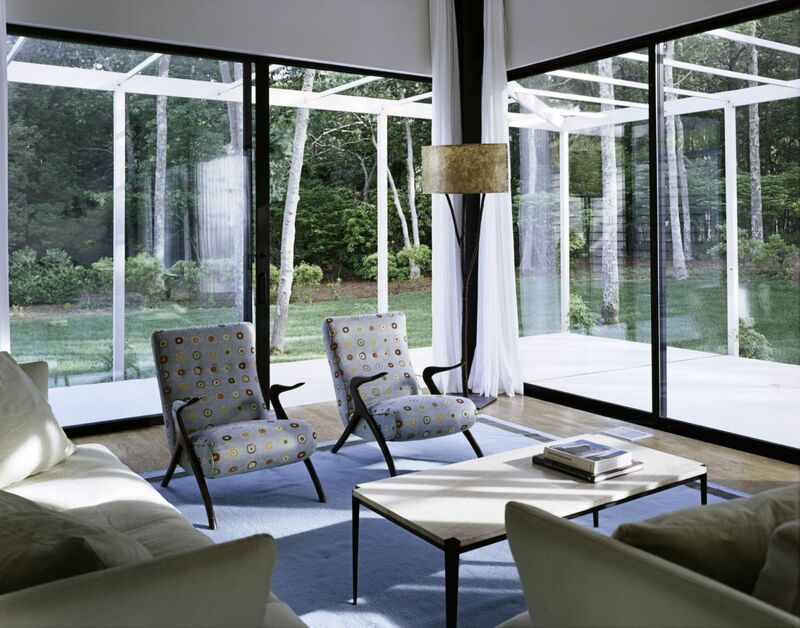 The clients, a couple based in London, wanted an uncomplicated summer home close to Long Island beaches. The program called for a 5,000 sf house to accommodate family members and guests. 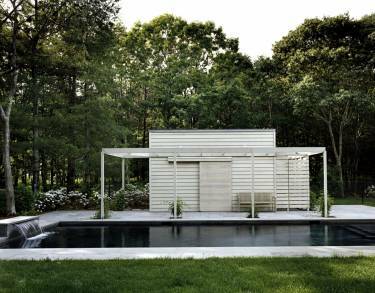 Working on existing foundations, the firm created a plan in which the master bedroom overlooks a private garden to the north and east, while the house’s public spaces face a garden and pool to the south and west. The exterior is clad in cedar with the exception of the stairwell which is covered in zinc. 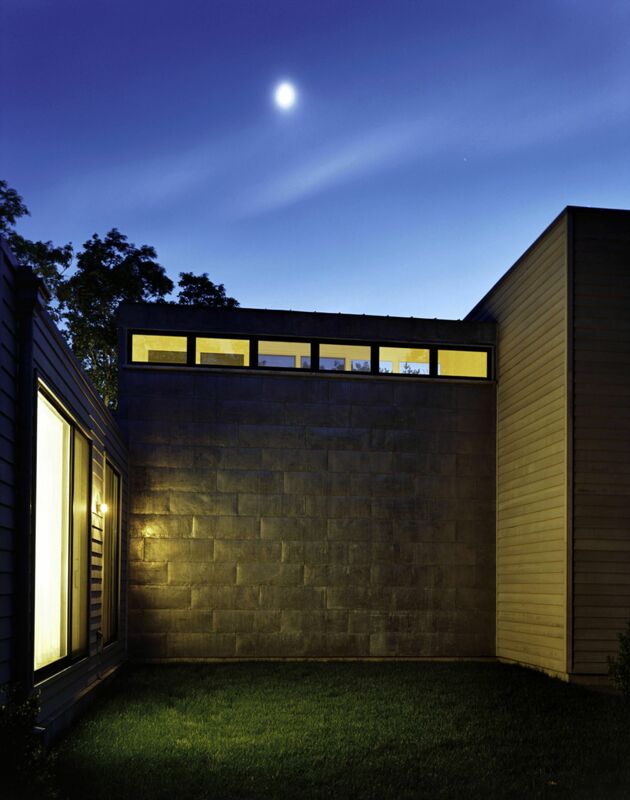 A concrete plinth strengthens the relationship between the building and the landscape. 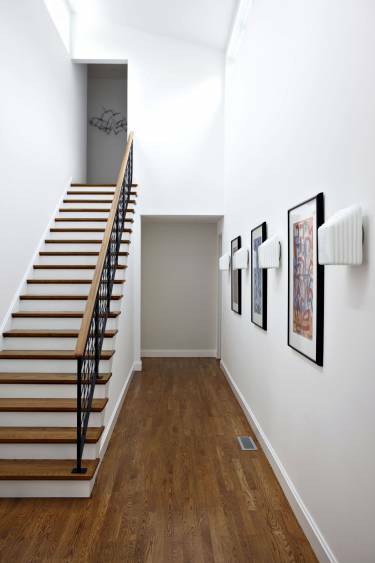 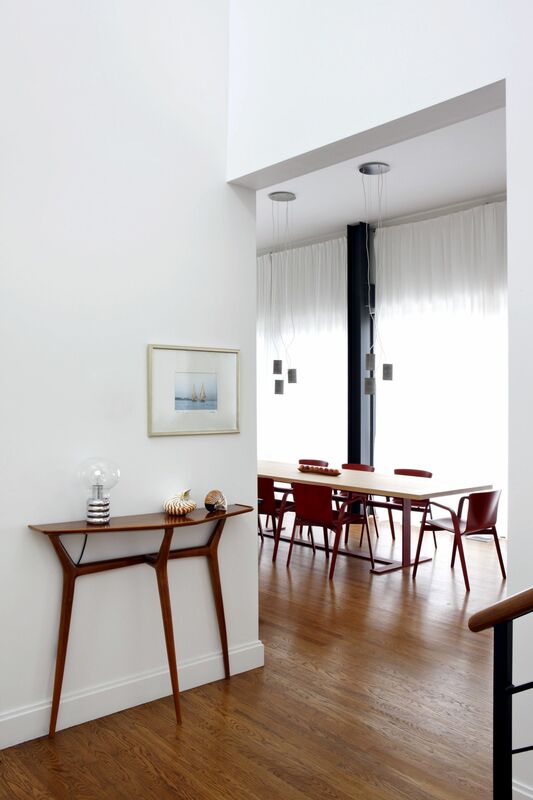 The interior of the house features an open, loft-like layout, but strong proportions mean rooms feel complete even when there are fewer than four walls.